Just yesterday, we told you that Xiaomi executives and both co-founders have been leaking information about the Xiaomi Mi 9. The company's new flagship phone is expected to be introduced on February 20th. Today, Xiaomi CEO Lei Jun revealed some more specs about the Mi 9. Perhaps the most interesting is that the handset's screen-to-body ratio will be 90.7%. To put that number is perspective, the screen-to-body ratio on the Mi 8 is 83.66%, and measures 84.29% on the Apple iPhone XS Max. The higher the number, the more real estate on the front of the phone is taken up by the display. The executive also reveals that the Gorilla Glass 6 protected 6.4-inch AMOLED display found on the Mi 9 is produced by Samsung. The resolution of the display is 1080 x 2220 (FHD+) and offers up to 600 nits of brightness. Again, as a comparison, that matches the brightness of the display on the Mi 8. The iPhone XS Max peaks at 625 nits. The screen also offers special optimizations for game mode and night mode. Speaking of the display, Lei notes that the Mi 9 display will look better under strong sunlight thanks to its second-generation "sun screen" that promises better color reproduction and makes the screen bright enough to view. Lastly, the executive posted a photo showing that the Mi 9 will feature the latest in-display fingerprint scanner that is 25% faster than the previous generation. The rest of the specs includes a Snapdragon 855 Mobile Platform under the hood, with a triple camera setup (48MP primary + 12MP telephoto + 16MP ultra-wide angle) in back. While no one from Xiaomi has leaked the possible configurations that the Mi 9 will be offered with, we could see a 6GB/128GB variant and an 8GB/256GB unit. The Mi 9 Explorer Edition will feature a transparent back and could offer 10GB RAM with 512GB of storage. Can't wait until it comes it! 90.7 % screen to body ratio but still has that ugly Chin? And gone the facial recognition that can be found in the Mi8 last year. Don't forget that these chinese companies always faked Screen-to-body ratios about their products. 90.7% is for their edited image, physical device will be 85% at best, could be lower. I don't think any phone could be 90% without curved screen. S8 with it's big forhead and chin could easily achieve 83.6%. S10/S10 plus also have chins. 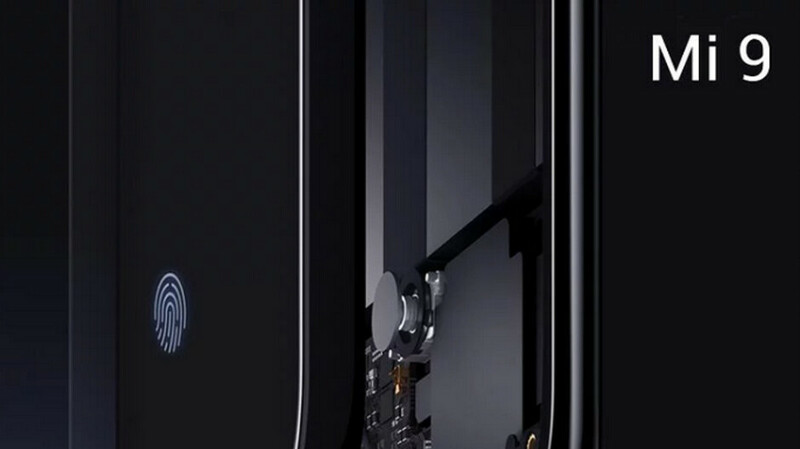 The Mi9 chin is 3.6 mm The iPhone XS chin is 3.87 mm. So who has the larger chin? Love you Xiaomi for great phone at just production cost (+5%). GOOD to see they advertise its display as 'SAMSUNG AMOLED' not like fruit company....which give it a new name and call it there own innovation. Please have a stereo speaker please!